The Siege of Fort St. Jean (also called St. John or St. John's) was conducted by American Brigadier General Richard Montgomery on the town and fort of Saint-Jean in the British province of Quebec during the American Revolutionary War. 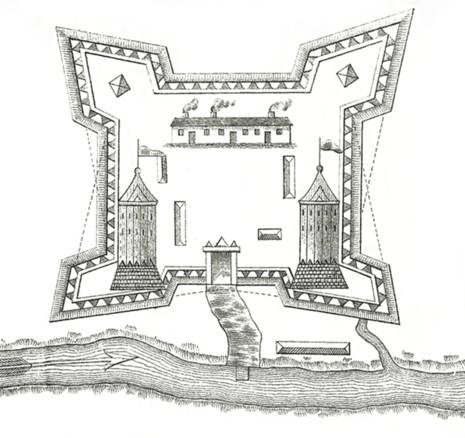 The siege lasted from September 17 to November 3, 1775. 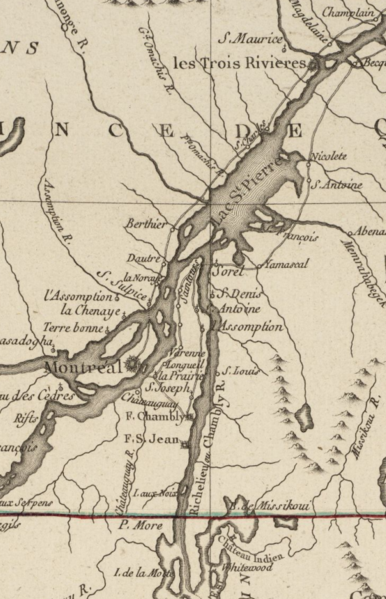 On September 6, Generals Schuyler and Montgomery led a force of men in bateaux to a landing point about 1 mile (1.6 km) upriver from Fort St. Jean. Schuyler remained with the boats while Montgomery led some men into the swampy lands above the fort. There they were surprised by about 100 Indians led by Tice and Lorimier. In the ensuing skirmish, the Americans suffered 8 dead and 9 wounded, while the Indians suffered 4 dead and 5 wounded, with Tice among the wounded. The American troops, which were relatively untried militia forces, retreated to the boats, where they erected a breastwork for protection. The fort's defenders, seeing this, fired their cannon at the breastwork, prompting the Americans to retreat about 1 mile (1.6 km) upriver, where they set up a second breastwork and camped for the night. The Indians, resentful that neither the British forces in the fort nor the habitants had come to their support in the engagement, returned to their homes.